1.) I'm looking to expand a very small collection, and weed a very large collection. 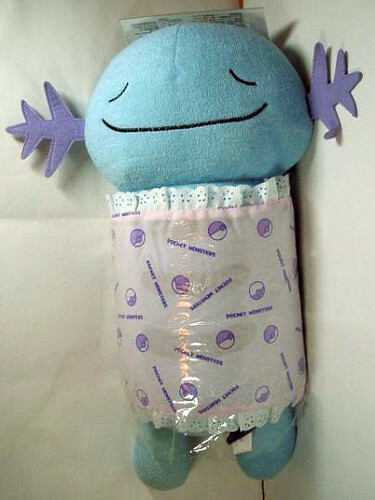 And the laughable Wooper collection! 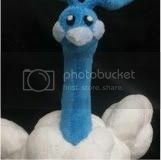 Where all da Woopers at?! -Figures, eh, might be interested! Definitely want the zukans though. -Flats are trade only. I don't like spending anything on a little picture, haha. 3.) Speaking of trades, I went through my collection and have compiled a couple of things that I am willing to ONLY trade for. 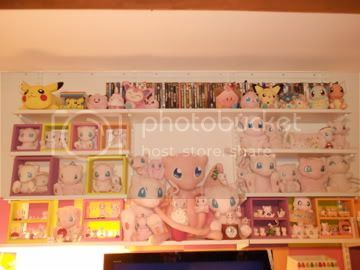 Including some rare Mew stuff, a Vaporeon MWT canvas, a set of Vappy, Flareon, Jolteon minky pokedolls, and some Dittochu stuff! 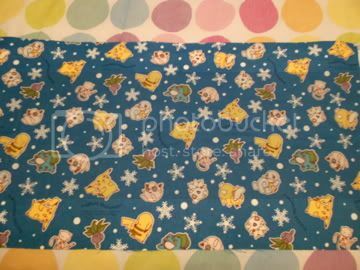 I bought this yard of omgkawaii fabric and have no idea what to do with it! 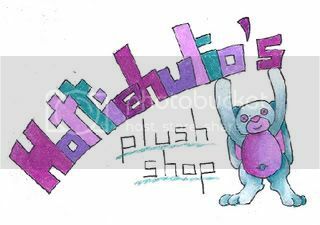 Click the banner above to be taken to my shop or click the images below to see better pictures of the plushies. My shop is now open for buisness ;D Please stop in and check out the goodies. Sales Permission Granted by Denkimouse Sept. 2010. I'm looking for Pokémon Ranger: The 1st Mission. I...think it may have only been in a magazine. Here's a picture of it. It's by Shigekatsu Ihara, who also did DPA! 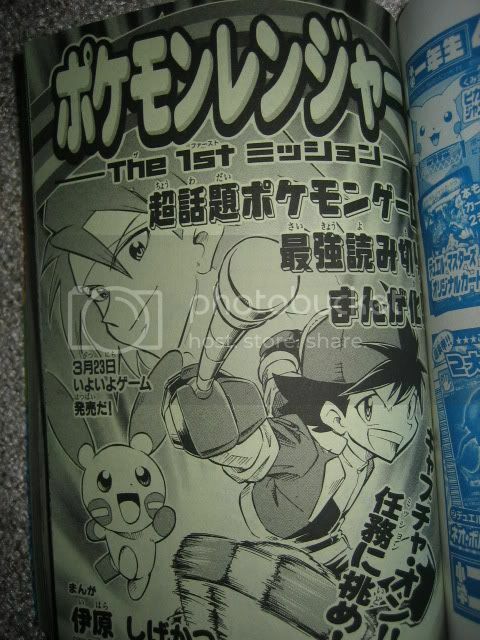 and the Battle Frontier manga. So does anyone have this? I'm not even sure what magazine it ran in. Also if anyone has the poster than came with the DPA! box set, I'm more than willing to take it off your hands. Only exceptions are drilbur and the custom espeon. Would you like to check them out? I'm desperately seeking the MPC Heatmor doll. I will kill for this baby. Anybody have one up for sale? I'll pay a pretty penny for him. I'm even looking to buy two so I can have one for pure display and one for playing with, so I'm taking all you got. Please help a brother out? Bidding has ended. please wait for results. Okay, I swore that would be my last for a while, but gosh if this isn't the prettiest heap of things you ever did see... So let this be the best night one ever! - Sales permission granted in June 2011 by Dakajojo. - I am looking for one co-runner to double check my maths, keep the spreadsheets up to date, and help with reminders. I will be shipping as the seller only ships to the UK. Oh my gosh, Wolfy why do you keep finding BK things? You must click the cut for Rules and more photographs. The ALL THE THINGS GA eBay seller has not posted the parcel yet, so I am waiting to see if they will. I will let you know as soon as there's an update. The Delicious BK GA has been mailed. Two were posted today (choppii and couchpotatonet), the rest went last week and have already started arriving in their new homes! Hello community! I hope you are all having a wonderful day! What all do you use your charms for? I have mine on my phone, my DS's, my jacket zippers, necklaces, earrings, keys, my bag and of course my pokewalker! Show me what you got and where!! Hi guys :) My two year anniversary to this community is just around the corner on February 7th. To honor that, thought I'd share a few pics and try and pick up some items from you guys if you have them. First off, just a few wants. I'd prefer to get these items from the community instead of ebay, amazon or a middle man, just to keep the money within the group here. So please let me know if you have these items. I'd love to buy ASAP. 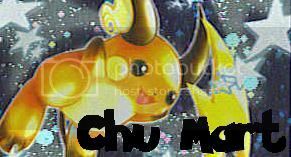 Ever since I joined in 2010, I've been looking for an Umbreon charm. 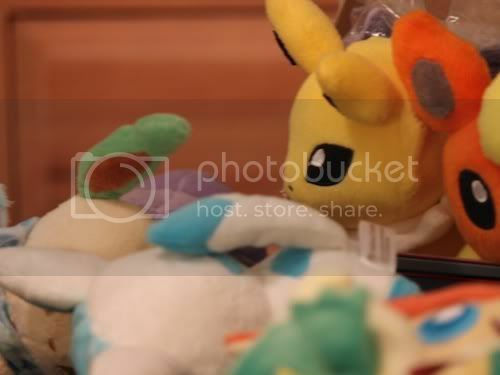 I only want the Umbreon, and not the whole set. I've seen innumerable GB for the 2009 and this 2011 set, but alas, the host always claims the Umbry. Which is fair, I just seem to miss out! I'd only like the sitting pose, stead of the walking. Thank you autumnrain for correcting me :). Will pay good for. 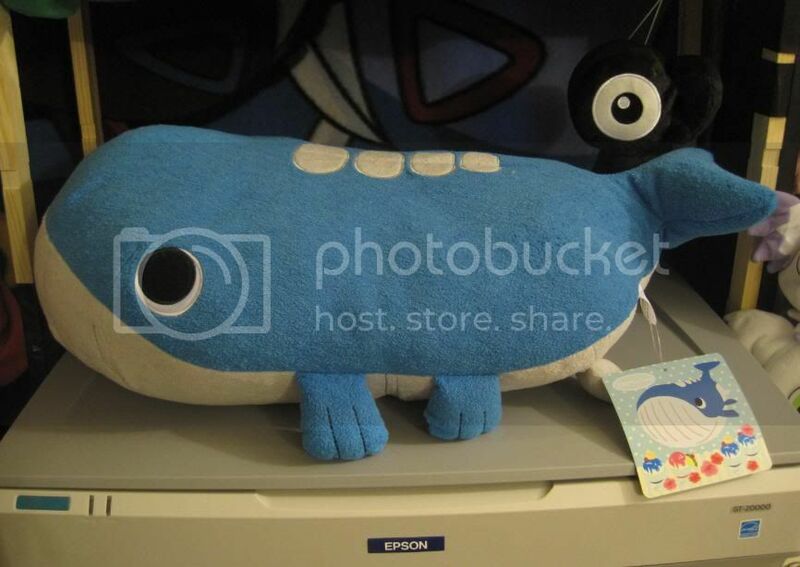 Looking for this Heracross plush! He's adorable, isnt he? 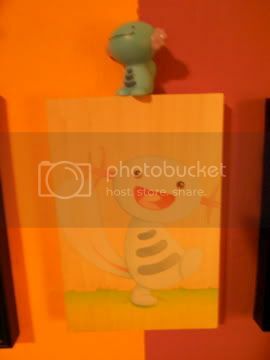 I'm trying to get each member of my Pkmn team in plush form, and I'm missing this guy and a Milotic. Also questing for a Haxorus, Feraligatr and Empoleon Kid figures. Small collection update, big want list! Postcards (not really grand opening, but I'm counting them) mug, limited edition pin and limited edition keychain. I want anything to do with the grand opening that isn't pictured! Even if you don't have it for sale, please let me know about it (pics are highly appreciated!) so that I know what to look for. The only thing I'm aware of is a sticker, which I really want. 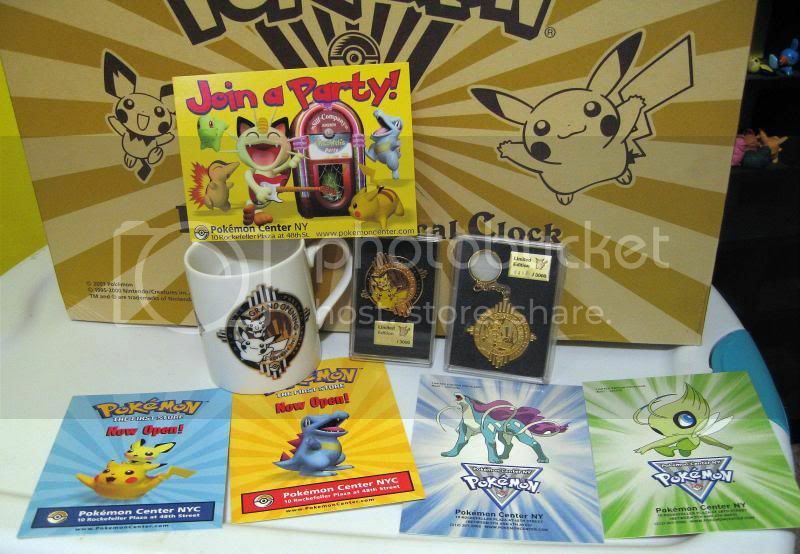 I'm really interested in pretty much anything Pokemon Center New York. I couldn't get everything together for a shot, so let me know if you have anything for sale. Other pics and wants under the cut! I would also like to ramble on a little and say THANK YOU to everyone for welcoming me so warmly, and for so many positive comments on my collection! I've never been part of a Pokemon community before, so I'm used to hearing "You collect WHAT?". This has been such a breath of fresh air for me. Thank you all! sales -reduced prices on everything! Just a couple days before I leave, so I've dramatically reduced the prices on everything! I need all of this gone! -I live in Canada, but will cross the border and ship from the US (the return address will be blackfruitbat's, so if anything happens, it will be sent back to her!). -Priority goes to straight sales/ people that want the whole lot, etc. -Payment is due within 24 hours. If you ask for a quote, but decide that it is too much, please let me know so I can offer it to the next person interested. If I do not get a response within 24 hours, it gets passed to the next person. -I am not responsible for anything that goes lost in the mail. Purchases going within the US will have an option of adding a tracking # for an extra dollar which will be noted at the end of every quote. Please inquire if you are interested in tracking for Canadian/ other international packages. Sometimes I need to learn when to stop purchasing plush, but I love collecting. Which always gets in the way of saving money. However, all of my purchases have been worth it. Recently, I received a package in the mail from Noppin, and I wanted to share what I have received. Belated Christmas gets and new Eeveelution contest! Hey guys! It feels like forever since my last collection update. Anyway, I've acquired a handful of awesome Pokemon merch over the Christmas holidays and would like to share them with you! 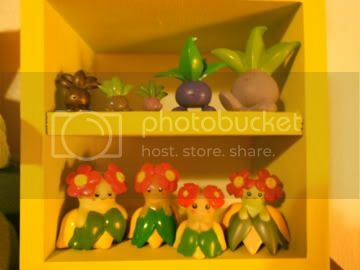 Middle row: PokeCen Dot 2 figures! When I first learned about these figures, I knew I had to get them. They look like Legos which I absolutely love. Bottom row: TOMY MC figures and Battrio of Kyurem and Volcarona. Two of my favourites from the Unova region. Last, but not least, Pokemon Cafe cookie cushion. I'm not entirely sure why I got this in the first place but I'm so happy I did. It's incredibly soft and really comfortable to rest your head on. I've also acquired a ton of plushies but I'm not sure if I'll be keeping those so they might go up for sell one day. Secondly, there was a member on here that was looking for a Whimsicott strap/charm? I can't seem to locate that post so if anyone knows who it is, please let me know. Thanks! Second bit of business! I've decided I can't live without a lot of things being released on the 11th this month with all the Sewaddle, so to try to make up for the cost a little, I've decided to do some pick-ups when I head to the PC that day! To keep things easy, I'm just picking up stuff from the new releases, and I won't be picking up any of the XBOX HUEG or fragile items. Got some awesome stuff lately, including exclusive PokeCen merch, a doujinshi, and a CUSTOM PLUSH!!! This. This is it. This is my shining moment. Hi guys, I have found someone who has a Theater Limited Deck 5th Movie Set. 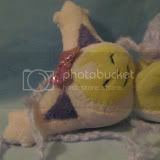 I would only want the Annie's Espeon and was wondering if anyone would be interested in the rest. If so then I would make a GB out of it. I would purchase the set and then when it arrives I would ship them out. I would only charge one shipping fee (from me to you) to be fair. (sales permission granted by Gin in 2010) Just got my new set of venusaur line charms that were released last Dec. I only wanted venusaur, and originally was going to put bulbasaur and ivysaur up for sale, but then i saw the Aggron line was released. I only want Aggron, so first i was going to see if anyonr had an extra Aggron charm they would be willing to sell, or trade for either bulbasaur or ivysaur? So this is my first post showing my collection! 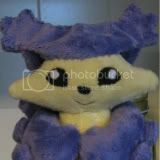 Does anyone have any advice on where to buy good Pokemon Settei? 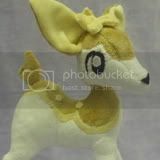 Looking For Plush! and quick small sale. Small gets and some wants! Times are good in Turtle Land for having some turtley gets! :) I don't usually post about this kind of thing, but I am so happy and mellow due to the below find today! I found this cool Toy factory Turtwig plush at the Thrift store for $2.98!! And this awesome Kamex/Blastoise handkerchief for $.98!! It has a little sticker in the corner which says SHOPRO 4, does anyone know anything else about it?? I got some other stuff recently, but they weren't like OMFG stuff. ^___^ I'll wait to update my Turtle Charms pics until Wave 5 brings my Tirtouga/Carracosta ♥. Anyone who was in my "Big Penguin GA," the last of the international stuff was shipped Tuesday! 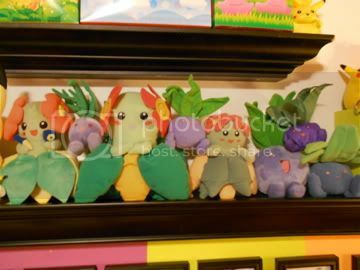 I'm looking for Tropius stuff, not anything too expensive (over $20) since he just recently waddled into a side collection for me. And I always look at turtle Pokemon stuff you may have, the more unusual/rare the better. Thanks! First of all, want to remind everyone about the giant GA remderosier and I are hosting. Less than 24 hours left!